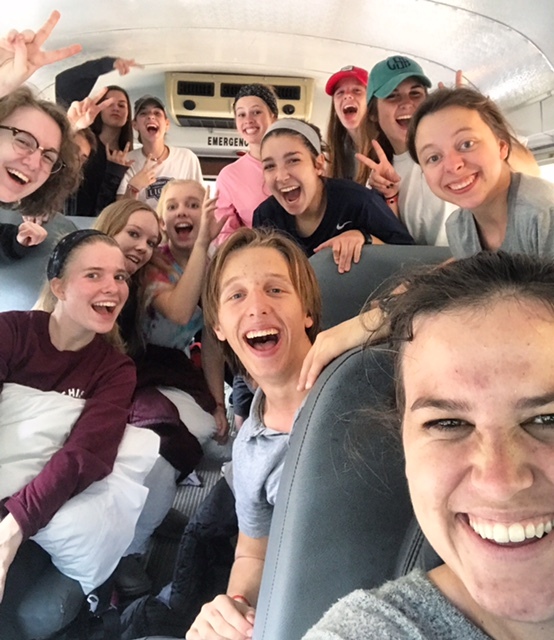 The Youth Ministry of Christ Covenant Church is committed to the discipleship of students in 6th through 12th grades, incorporating them into the full life of the church. Our ministry trains leaders from other generational communities to pour themselves into students and model what it looks like to follow Christ in all of life. We are committed to being shaped by the Word of God (our final authority for faith and practice), depending upon the Holy Spirit in prayer, and intentionally being involved in the lives of one another. Make sure you go to our High School and Middle School webpages for more information about what we are doing in each of those age-level ministries!! The middle school and high school ministries meet in the Youth Center (lower level of CLC) for Sunday Bible School. Click here to see what we're currently studying. Our Wednesday night programming for high school (Link) and middle school (EPIC) meets on Wednesdays during the school year from 7-9 PM. EPIC meets in the Auxiliary Gym for fellowship, games, and spiritual refocus. Link meets in the CLC youth center, first together for large group and then break into smaller groups for discussion and discipleship. More information about EPIC is on the Middle School webpage and about Link is on the High School webpage. This is a joint Youth Retreat of our Presbytery. The topic of this retreat is "Satisfied?" Meet at Christ Covenant Church on Friday, March 29, at 6 PM for check-in and pizza. REGISTRATION CLOSES MARCH 20TH AT MIDNIGHT.